Visit the working studio and see the Potters, Artists and Designers. Alan White, the Master Potter, can be seen at his wheel throwing clay and creating unique, but classic shapes. Alan has appeared on TV many times and has been associated with Poole for over 45 years. See Sean Flint the trainee potter working alongside Alan and developing his own style, creating the Poole Pottery shapes of the future. Nikki Massarella, Jane Brewer and Lorna Whitmarsh are three of our designers and artists. You can see them at work decorating pieces of Poole Pottery, as well as designing new collections. 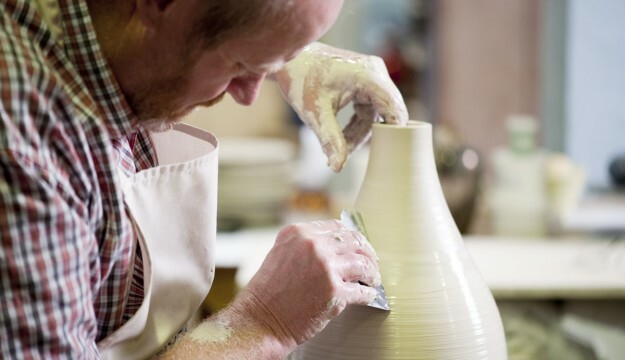 Find out how Poole Pottery is made. Read about it’s history and heritage. Browse through a full range of best and second quality Poole Pottery giftware, lighting, vintage tableware and track down a missing piece for your collection in Collector’s corner. Discover a selection of unique pottery by the Studio artists, one-off items only made and sold at the Home of Poole Pottery. Highly collectible works signed by the artist. Each piece comes with a certificate of authenticity. Feel inspired? Have a go at painting your own masterpiece in the Paint a Pot studio. Choose from a wide selection of pieces, from plates, bowls and mugs to ornaments, picture frames and money boxes. Prices start at £6. Great for all ages, whatever the weather! Paint a Pot is ideal for children’s parties and group bookings, with discounted rates for groups of 10 or more. 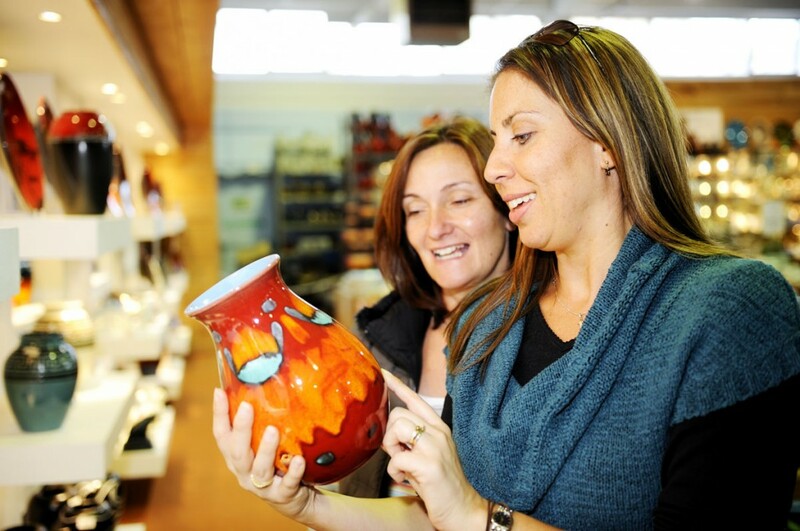 With two floors of Outlet shopping in Gifts, Souvenirs, China & Glass, Cookshop, Fashions, Shoes & Accessories and great brands like Viners, Denby, Burleigh, Dartington, Yankee Candle, Buckingham, Tigi and Skyflite. Look out for the Quay Bargains!